Memorial Day weekend was a busy one for a couple hospitals in the U.S.! 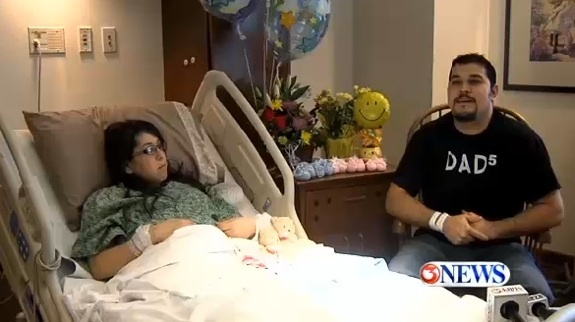 Yesterday we reported that Utah couple Guillermina and Fernando Garcia became parents to 5 tiny babies. 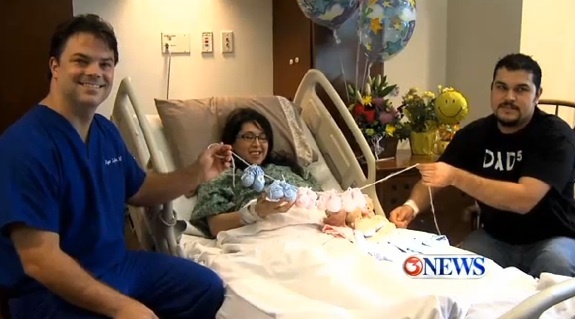 Today I found a second announcement for a Texan couple who also welcomed quintuplets! Caleb Hunter, 2 lb. 6 oz. Aden Cesar, 2 lb. 3 oz. Bianca Hope, 1 lb.14 oz. Madeline Love, 1 lb. 8 oz. Chloe Faith, 1lb. 5 oz. The delivery was a first for Dr. Ryan Loftin, who said he has delivered twins and triplets before, but never quintuplets.”It was a lot of fun,” Loftin said. The babies, who are very fragile, are said to be doing well. They aren’t expected to be allowed to go home until closer to their due date in August.